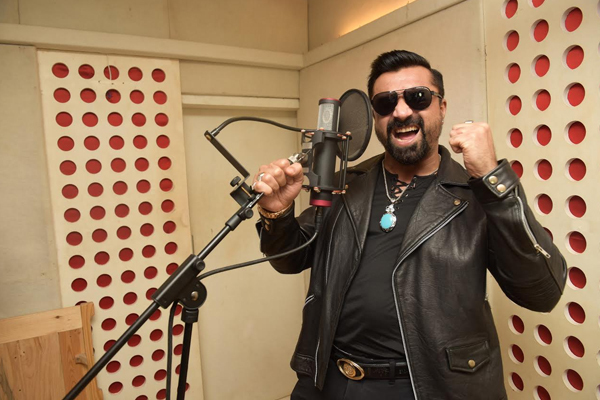 MUMBAI: Actor Ajaz Khan who came to fame with his stint in Colors Bigg Boss is coming up with a new single. The single titled De Goli is soon to release and is sung by Khan himself. The Ek Number manas is now entering the singing space under his own production house Ek Number Productions. The song is sung, produced and written by Khan himself and is composed by Asif Panjwani. Music Director Asif Panjwani says, "De Goli is a rare composition which hasn't been attempted before. It's a foot tapping number, full of swag. The lyrics are very catchy and the video is shot brilliantly. The song reveals the attitude and the motto of a don. De Goli's rarity will win audiences"
The song is expected to release soon and is already recorded. MUMBAI: He was once a boy from the naka who is now bhidu of the nation- Ajaz Khan. Way before the wave of Gully Boy kicked in, Ajaz Khan's lingo made its way to every gully of Mumbai. MUMBAI: Priyank Sharma of Bigg Boss fame will be seen opposite singer Neha Kakkar in the video of a song sung by Tony Kakkar.The romantic Punjabi song's video was shot here on Sunday. MUMBAI: Colors TV’s popular reality show Bigg Boss 12 is a big talk of the town recently as the show is ruling the charts for its controversies. Out of all the gossip that we watch on the television, we found really cute on Voot. Well, it was when contestants Romil Chaudhary and S.
MUMBAI : Music composer Asif Panjwani, who created the theme music for Kumite 1 League, says he added an Indian rhythm to leave the country's mark on the international league. MUMBAI : Minister of State for Home Kiren Rijiju has termed singer-composer Kailash Kher and comedian Raju Srivastav the two gems of the entertainment industry.